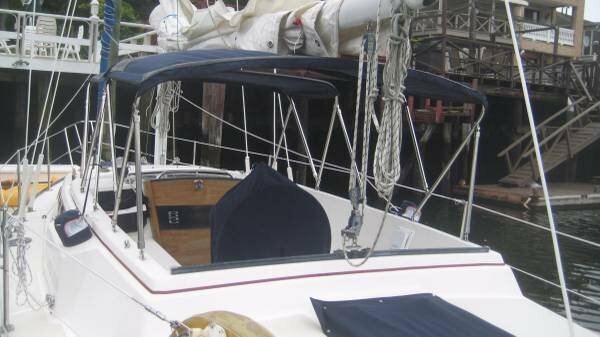 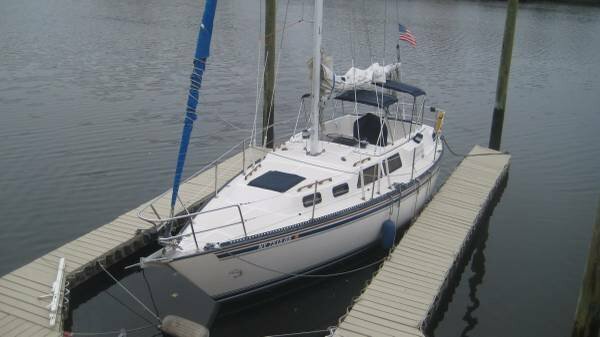 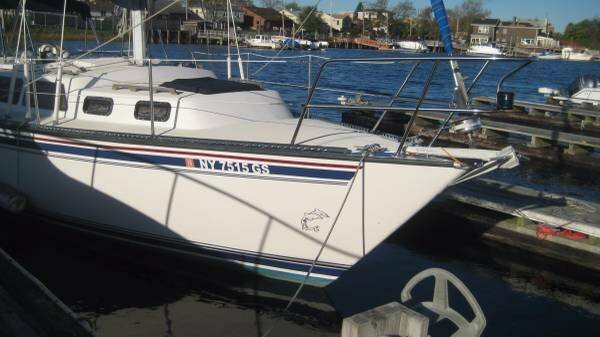 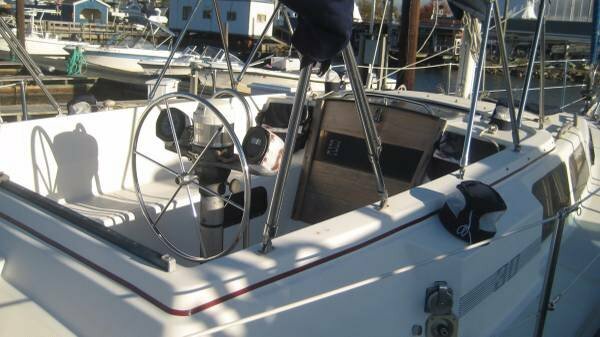 california dodger and bimini, great cabin layout with full aft cabin sleeps two very comfortably. 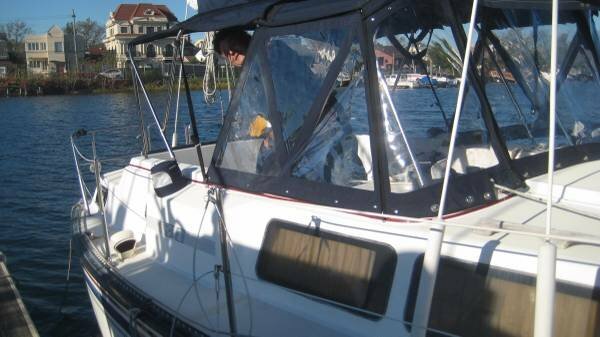 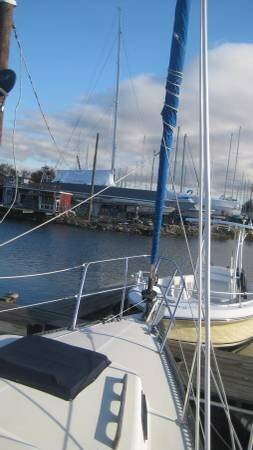 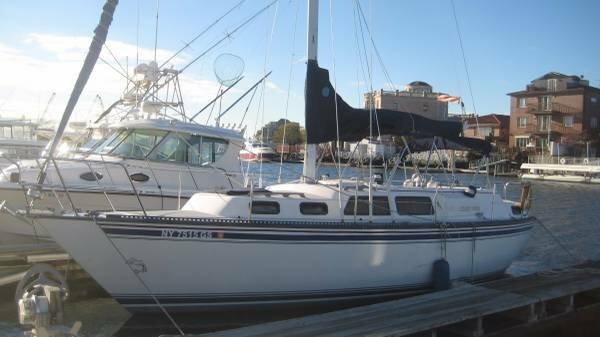 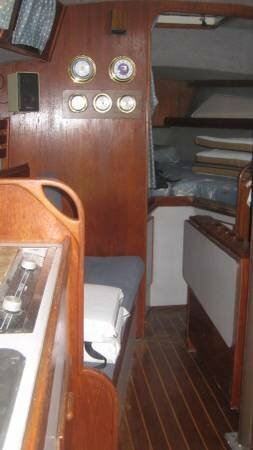 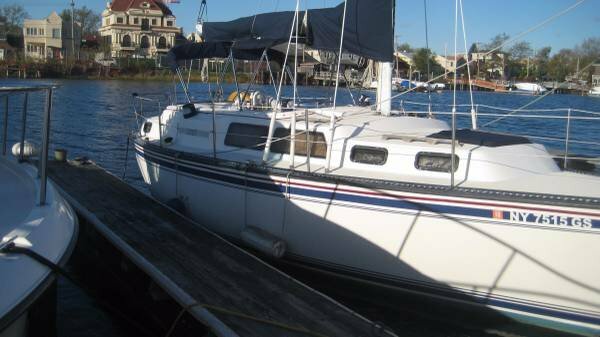 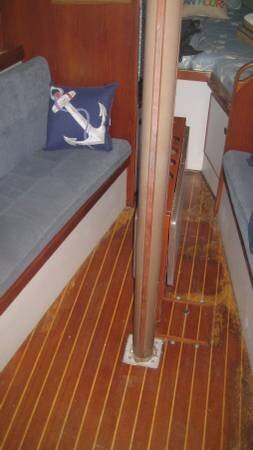 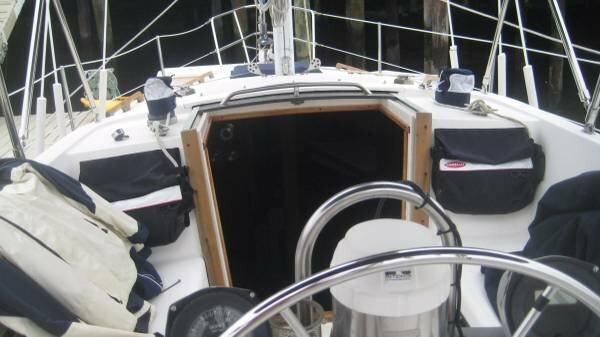 Full galley with alcohol stove and refrigeration, HC water, full head with bathtub. 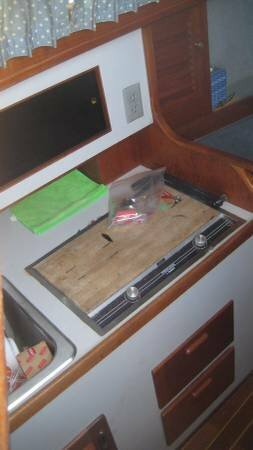 Basic electronics, good entertainment system.